The importance of the book, which enjoys diplomatic phenomenon today with the beginning of the third millennium of paramount importance, as it continues to play a prominent role in the field of international relations and foreign affairs with its various dimensions. There is no doubt that this growing demand on the establishment of diplomatic relations has led to increased number of missions and spread all over the world and increase the number of employees in these missions. This came the book in an attempt to address all of the topics and issues related to diplomacy;, where he discussed the book the concept of diplomatic and origins and their historical development, eat diplomacy in the modern era and contemporary, then go to forms of diplomatic work and the system of diplomatic exchanges, through consular relations and diplomatic immunities and privileges, and the end of the new trends and developments in contemporary diplomacy; where he addressed the diplomatic influenced modern communication and information revolution, and the phenomenon of development and diplomatic relationship with the diplomatic and national security dimension of religious and cultural heritage. 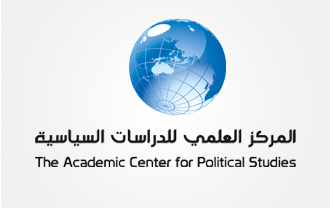 With the development of the phenomenon of non-governmental organizations, the evolution of the so-called diplomacy Giralsmh, in addition to contemporary diplomacy has become a tool in shaping the international trade system between states. The topics such as the environment and human rights - and that has become a priority in the interests of Contemporary International - received a great deal of privacy to deal, was to be her diplomatic unique and unconventional own. I've highlighted the book highlights the importance that took diplomacy are in the area of ​​strengthening the relations between nations and peoples, diplomacy with its various dimensions has become a way of organizing international life and not just a tool for the openness of countries to each other, and now - diplomacy - a complex phenomenon that is no longer as simple as it was before two centuries time. Therefore, the overall ideas and analysis contained in the book calls for an objective review of the system and a forward-looking standard governing them today. He concluded by asking the theme of the book about the future of diplomacy in the context of the current international system described Palmaulm, as the changes in the international scene is not easy to assess the effects and manifestations. 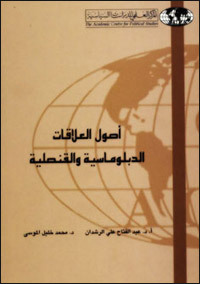 It is worth mentioning that the book combines two schools in the study of the phenomenon of diplomacy: international relations and international law; since the book was written by Dr. Abdul Fattah Al-Rashdan Professor of International Relations, and Dr. Mohammed Khalil Mousa Professor of International Law.